Pond liners are an important part of water gardening. Water scenes use three different types of liner. For large projects we recommend Firestone rubber. 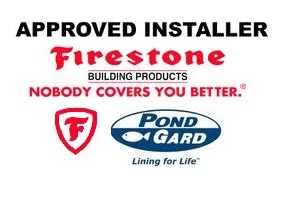 Water scenes are Firestone trained installers specialising in box welding, liner repair, large sheet (lake) liner welding. For more info why not call on 0800 0232 988 or contact us.